The LAU-118/A missile launcher is used to launch the AGM-88 HARM anti-radiation missile from aircraft such as the F-16 and F/A-18. The LAU-118/A provides the mechanical and electrical interface between the aircraft and the AGM-88A HARM missile. The LAU-118/A is delivered to the organizational level mated to the HARM missile as a preloaded accessory suspension equipment combination which is then attached to the aircraft�s parent bomb rack. In a typical installation on the F/A-18, that LAU-118/A launcher is attached to a BRU-32/A bomb rack, with the LAU-118 providing the umbilical interface between the aircraft and the HARM. Through this connection the HARM communicates with the aircraft's radar warning equipment and the system's dedicated launch computer via the aircraft's MIL-STD-1553B digital databus. The LAU-118/A can be configured with either 14- or 30-inch suspension. The Navy LAU-118(V)1/A launcher provides the mechanical and electrical interface between the AGM-88A/B High Speed Anti-Radiation Missile (HARM) and aircraft. It is a single rail launcher modified from the AERO-5B-1 series. 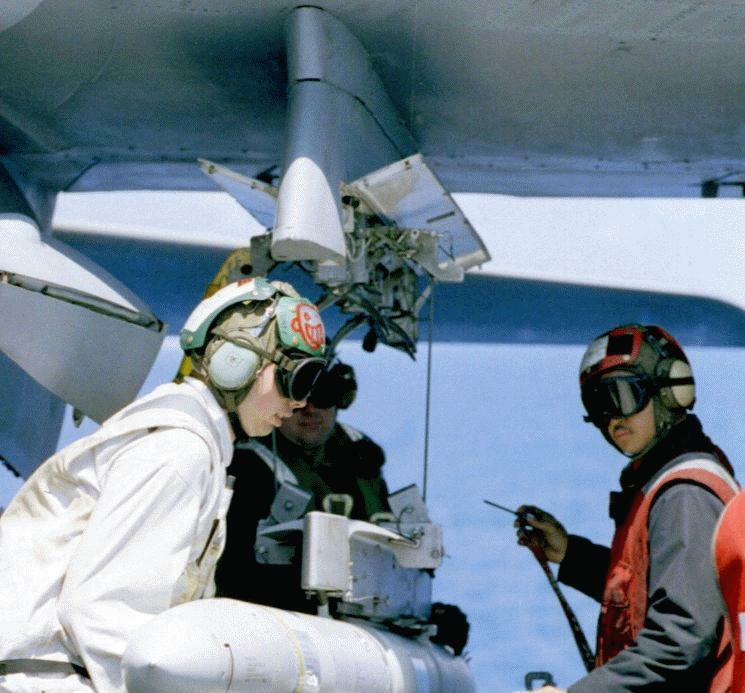 A unique mechanical configuration prohibits installation of the HARM missile on an unmodified AERO-5 launcher. The Navy LAU-118(V) 1/A is electrically different than the Air Force LAU-118(V)2/A launcher and is not interchangeable. The AERO-5B-1 and LAU-118 series rail launchers are used to launch the AGM-45 SHRIKE anti-radiation missile. 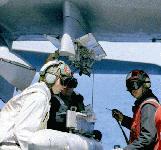 They provide the electrical and mechanical interface between the SHRIKE guided missile and the launch aircraft.